The Thermawood process is a straightforward one. We have a team of skilled and experienced professionals who prioritises your needs, assesses your property and ensures proper installation for your products. We ensure customer satisfaction at all times. When you entrust your thermal requirements with Thermawood, you’ll enjoy quick operations and high-quality service. The Thermawood patented retrofit double glazing system is only available through Thermawood franchises. To find out how much it will cost to retrofit your windows, simply request a quote. Once you’ve requested a quote, we’ll get back to you right away to schedule an appointment at your preferred time and date. One of our professionals will pay your property a visit so we can measure your windows and provide you with a quote. When we come over to measure the dimensions of your wooden windows, we’ll also conduct a free assessment. We’ll talk about concerns such as heat loss, noise level, glare, as well as any health and safety concerns you may have in relation to indoor air quality as well as the strength and durability of your glass. We’ll work with you to help you determine the best types of glass to use for your conversion so you’ll get the results you want. The type of glass you choose will also go into determining the price of your retrofit. We also price per room for your convenience. After we have our assessment and measure the windows, we’ll go back and calculate the overall cost of the project. Each quote is itemised to provide a clear view of the pricing structure for each individual room. Optional extras like glass upgrades for laminated glass to improve acoustics, Low E glass and argon gas for enhanced insulation, draught and acoustic seals, or hardware upgrades are all itemised within your customised quote. Within two to three days, we’ll send you the quote for you to review and approve. The next step is simple. Now that you have learned the processes and benefits Thermawood can offer look over your quote and the details of your planned project and adjust it further should you choose to. Once it’s approved, we are ready to get started. As soon as you put down your deposit, we can order the glass and hardware materials and set up a time to install your windows. Installation usually takes about two hours per panel. Two Thermawood retrofit professional installers can generally complete between six and eight panels per day. Depending on how many windows you have in your home, the entire installation process can happen in one day or a week. It depends on the number of panels being done. We never leave your home unsecure during the process and every window we begin working on is always completed the same day – your property is never left vulnerable. Thermawood is passionate about creating solutions that suit your lifestyle and property. We work tirelessly to achieve success, both in the industry and in meeting your requirements. Our team has helped many Australian homeowners improve their quality of living. 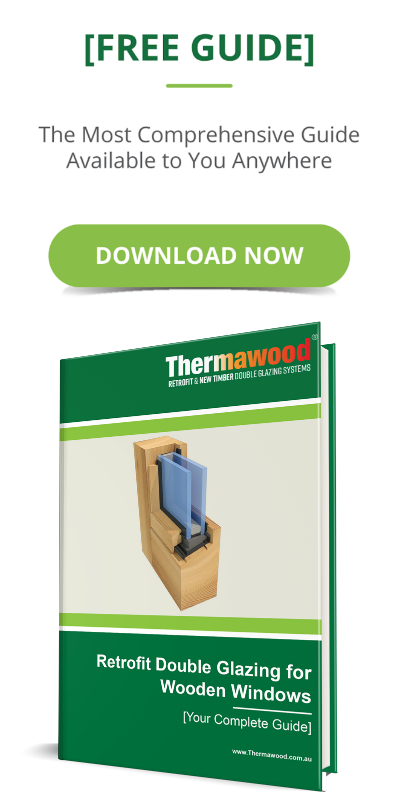 For high-quality thermal solutions, don’t hesitate to contact Thermawood Australia today.